Continuing in Jeep’s 2017 lineup of Easter Jeep Safari concepts is this, the Wrangler Luminator concept. 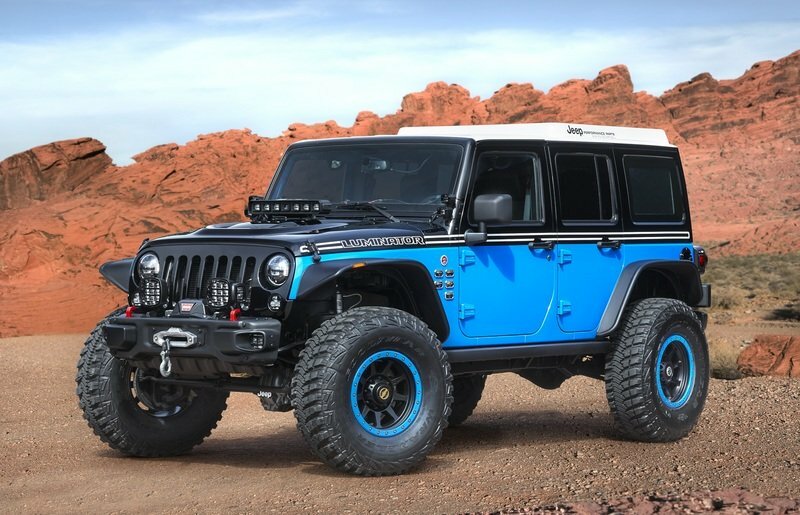 As the name suggests, this modified Wrangler is all about illumination. 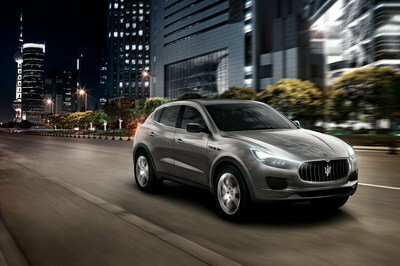 It features a wide array of LED lights for busting through the night. There’s even a solar panel on the roof, along with a drone landing pad. Jeep engineers didn’t leave the rest of the Wrangler unchanged. This concept features upgraded parts throughout. Up front is the 10th anniversary bumper with a Warn winch, the heat-reduction hood covers the engine bay, flat fenders give it a more rugged stance, and the rolling stock has been upgraded to Jeep Performance Parts beadlock wheels and Goodyear Wrangler MT/R mud tires. The differential covers are also upgraded for added strength and a little bit of Jeep branding. A cool color scheme has a bright blue on bottom, matching the beadlock rinds on the wheels, while glossy black covers the top half. A white roof and stripes finish off the look. But the main story is all about those lights. The main headlights are LED projector bi-function units. The taillights are custom designed round lights. The left taillight even has a 110-volt power outlet hidden behind a door. The fog lights are LED, of course, as are the A-pillar lights. 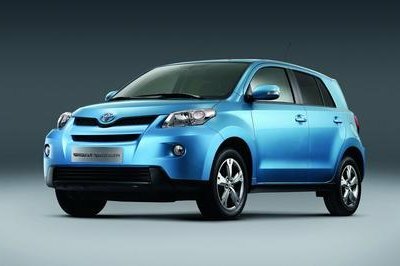 The front bumper has large driving lights with smaller side lights that illuminate dark trails. Even the turn signal lights are LED units. There is also a LED light bar hidden long the top of the windshield, and under body lights ensure the ground around the Wrangler is visible. What’s more, the hood features a unique LED light bar with a center-mounted night-vision scanner. If it detects wildlife or people walking on the trail, it will signal the light bar to shine a spotlight onto the object. Out back, the center high-mount stop light has been replaced with a concept unit. It does multiple duties on top of shining red with the brakes. It uses different colors for different speeds, letting those behind it know how fast it’s going. From one to three mph, the right shines amber, while from three to 25 mph, it shines green. Of course, when it’s time to stop, it shines red. It also acts as a scouting lamp with a white glow. There’s more about this Jeep concept, so keep reading for more. Continue reading to learn more about the Jeep Luminator. This Wrangler concept rides on a lifted suspension with JPP shocks. The large Goodyear MT/Rs also help raise the ride height. For controlling the drone, accessing the Internet, and GPS navigation, the rear side window of the driver’s side is replaced with a touchscreen. Jeep didn’t do anything special to the powertrain. 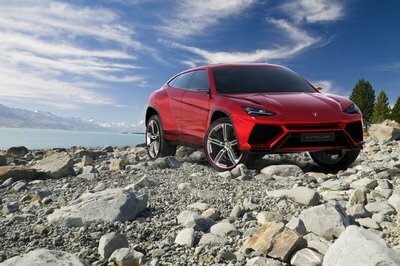 The stock 3.6-liter Pentastar V-6 and five-speed automatic transmission remain, as does the part-time, two-speed transfer case that engages 4WD. 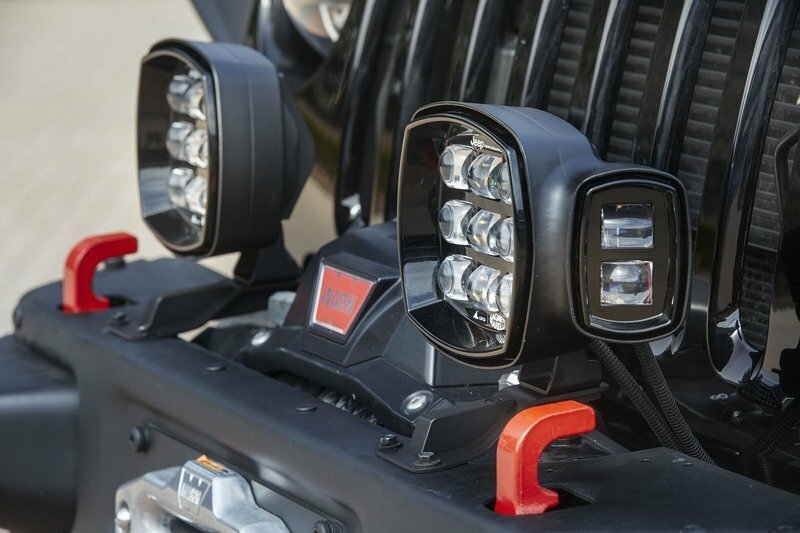 The Jeep Luminator reigns supreme in off-road lighting performance, with a full arsenal of advanced lighting features designed to deliver superior visibility on the trail, jointly developed with the Automotive Lighting division of Magneti Marelli. 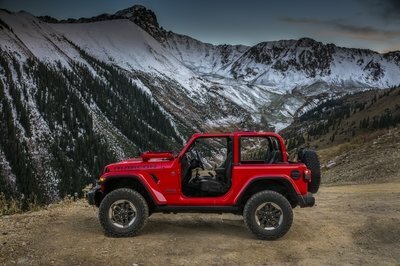 This Wrangler-based concept features magnetic underbody rock lights, powerful 7-inch LED projector bi-function headlamps, unique LED tail lamps, A-pillar-mounted high-powered LED spot lights, upper bumper LED auxiliary lighting with cornering fog lamps controlled by the steering angle, and low-profile integrated overhead LED auxiliary spot lights protected behind the windshield. The Jeep Luminator also includes LED versions of the standard 100 mm fog lamp and grille-mounted turn signals unique to the Wrangler. 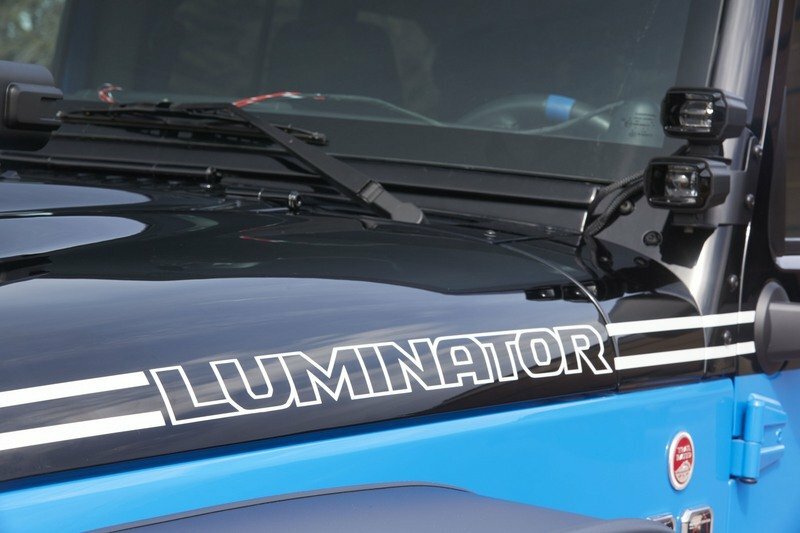 On the Luminator’s hood is a scanning LED light bar module with active spot and dynamic following technology, which delivers spot lighting to avoid wildlife or hazards on the trail ahead. On the rear, the center high-mount stop light acts as a scouting/trail lamp with four-color LEDs for trail rides, indicating stop (red), 1-3 miles per hour (amber), 3-25 mph (green) or providing rear flood lighting (white). 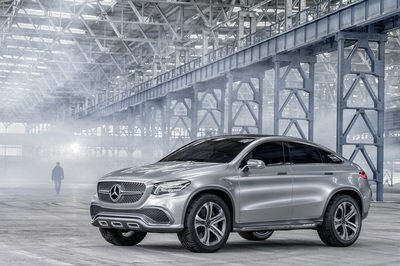 Other features include a roof-mounted solar panel, a drone landing pad with lighted drone and removable spare tire storage case, and a capacitive touch interactive display on the driver’s side rear window linked to GPS and internet services.